Motown! : Only God Can Transform Detroit and Us Too! This is the story of one man's burden for the city he lived in and loved. Detroit, once America's leading industrial city, falls with political corruption, racial intolerance, and its auto industry's refusal to change. Bob spearheads the partnering of his New York City church with an inner-city Detroit church, trusting God's power to take one small step in revitalizing Detroit. This book may challenge you to trust God to raise you from your own struggles. "Bob Chancia has accurately and passionately communicated the issues facing Detroit as well as the hope for Detroit-the Gospel of Jesus Christ ... because Jesus is the only hope for Detroit and all men. 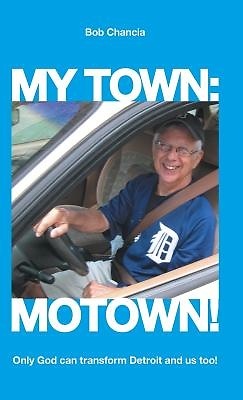 Bob, a native New Yorker, loves Detroit as much as we native Detroiters. I couldn't put this book down A must read " -Diane Denaro Frank, founder and executive director, AngelHouse.org "Here is the account of a miracle touching two great cities. New York's Calvary Baptist Church, by joining with Detroit's Citadel of Faith Covenant Church, has displayed the power and presence of Christ in helping bring a once great city back to vibrant life. Bob Chancia has beautifully and forcefully recounted this miracle that touches two cities." -Rev. James O. Rose, pastor emeritus, Calvary Baptist Church, New York City; Dallas Theological Seminary board of directors for nineteen years.